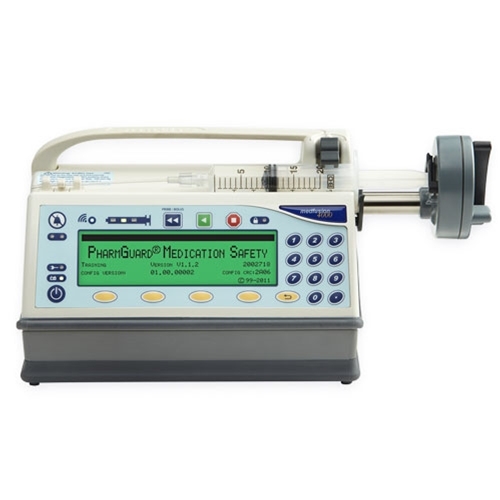 The Medfusion® 4000 Wireless Syringe Pump represents the next-generation advancement of the popular Medfusion® 3500 syringe infusion pump, which is widely recognized for its accurate medication delivery to patients in critical care units, including neonatal and pediatric intensive care. The new customizable system, designed to help prevent medication errors, allows health care providers to send and receive medication delivery information more efficiently. The syringe infusion system promotes best practices in clinical care as recommended by the top hospitals, accrediting agencies and regulatory bodies. The system is used by the entire 2011-2012 U.S. News & World Report Children’s Hospital Honor Roll 1. Delivers precise infusion volumes to +/- 2% accuracy, with delivery rates as low as 0.01 mL/hr and up to 1130mL/hr. 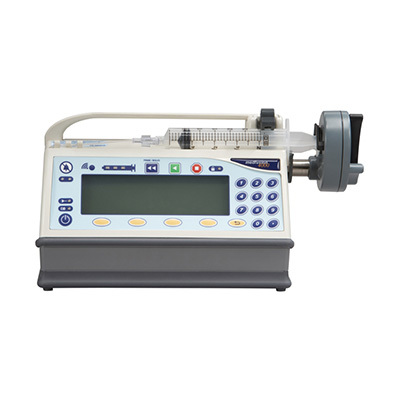 The infusion pump is capable of infusing at low flow rates even with large syringes. The Medfusion® 4000 wireless syringe pump with PharmGuard® Infusion Management Software can support your facility’s patient care quality initiatives with customized actionable reporting. 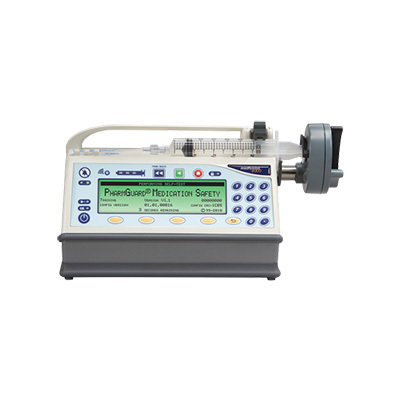 PharmGuard® Server Software promotes continuous quality improvement (CQI) of infusion therapy by capturing and managing data for device specific Medfusion® pump reports. CQI reporting designed for your entire infusion management team: pharmacy, nursing, biomedical engineering, medication safety officers, quality managers, and medical administrators, to help enhance clinical practice and improve patient outcomes.Provides clinical staff the reporting tools to analyze trends, compare against compliance goals, and measure infusion safety to make evidence-based practice decisions. IV therapy is used to deliver by infusion, fluids, medication, or nutrients to patients. There are two main types of administration of infusion, volumetric and syringe/PCA. These pumps are used when the accuracy of fluid volume to be infused is critical such as in the case of medications used for infusion of drugs for circulatory support. 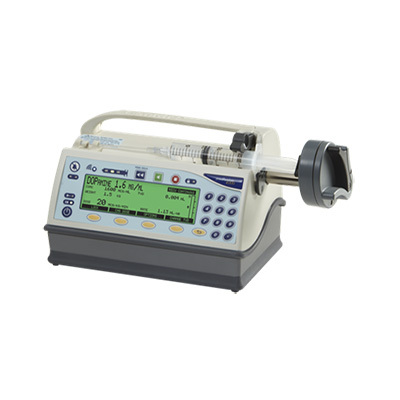 Volumetric pumps deliver a given volume of fluid per unit time measured in mL/hour. Volumetric pumps can be single or multi channel. Both types allow for the administration of more than one fluid at a time. Single channel employs a piggyback method while multi-channel uses separate tubing set up for the administration of multiple medications or fluids. Like volumetric pumps, syringe pumps can be programmed to deliver the medication over a predetermined time. Copyright © 1992-, Soma Technology, Inc.